A small town, East Texas love triangle ends in a brutal execution. A teenage girl guns down her loving mother. A drag queen falls in love with a beautiful young woman, resulting in a horrific murder. A woman left for dead by a serial killer refuses to be a victim. 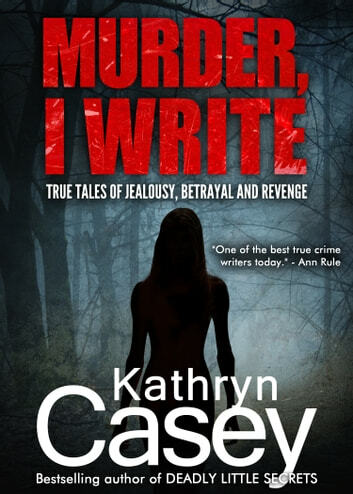 These are just four of the cases explored in MURDER, I WRITE, an exciting new anthology by critically acclaimed true crime author Kathryn Casey. 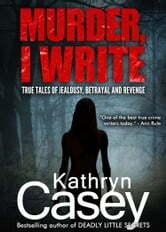 Thirty years in the trenches covering sensational murder cases, Casey’s career has taken her from victims’ homes, to homicide units, to face offs with cold-blooded killers. In these fascinating behind-the-headlines true accounts of jealousy, betrayal, and revenge, Casey explores the worst men do and profiles those who triumph over evil. (Previously published as Texas Love Triangle Murder/Bloody Sequins.) Photos included. An award-winning journalist and novelist, Kathryn Casey is the creator of the Sarah Armstrong mystery series and the author of seven highly acclaimed true crime books, all on sensational Texas cases. Her first novel, Singularity, was one of Booklist’s best crime novel debuts of 2009, and Library Journal chose the third, The Killing Storm, as one of the best books of 2010.